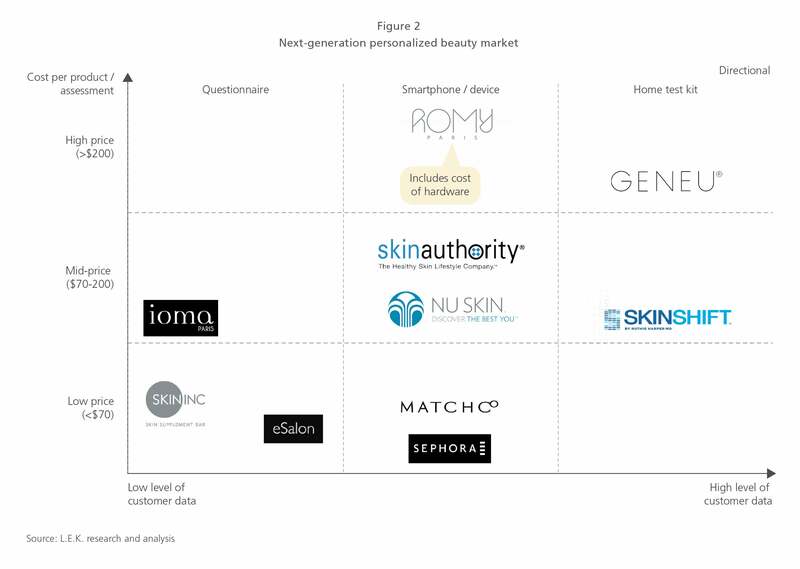 The cluttered field of health and beauty products has a new kid on the block: personalized beauty. This emerging area offers an alternative to “one size fits all” offerings. Players in this space use information gathered on a person’s genetic composition and lifestyle choices to design products that best meet the customer’s specific needs. Consumers are responding enthusiastically. For example, within the UK, 45% of adults indicated that they were interested in individualized skincare products created in a laboratory, and in 2014 customized products drove 22% of skincare consumption by volume globally. As customization technology improves, opportunities to reach an eager marketplace will expand accordingly. In this Executive Insights, we examine four trends that are converging to spur growth in the personalized beauty sector. Customized experiences: Consumers increasingly seek personalization in their daily experiences, shifting away from “one size fits all” products. 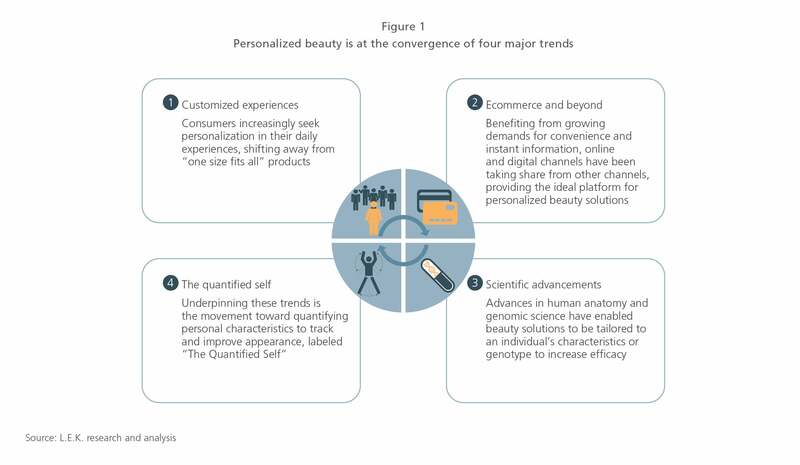 Ecommerce and beyond: Online and digital channels have been taking share from other channels, providing the ideal platform for personalized beauty solutions. Scientific advancements: Advances in human anatomy and genomic science have enabled beauty solutions to be tailored to an individual’s characteristics or genotype to increase efficacy.